Trainees climb the rigging in Constanta. 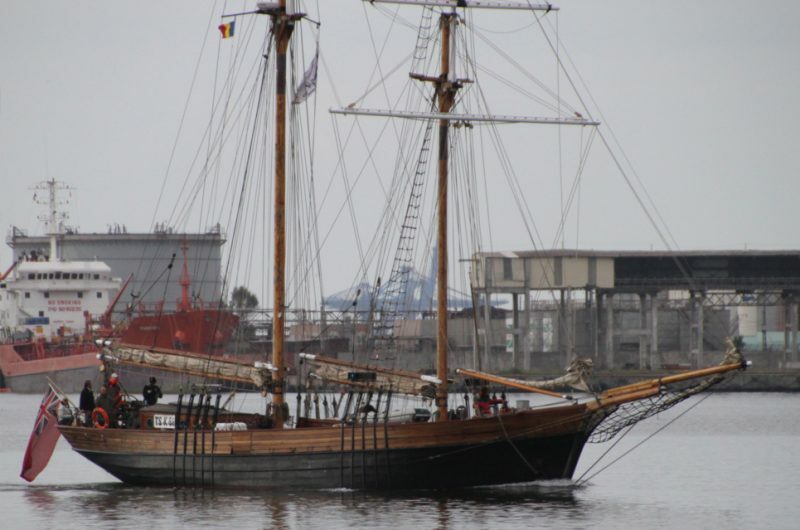 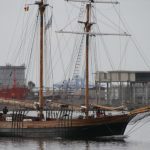 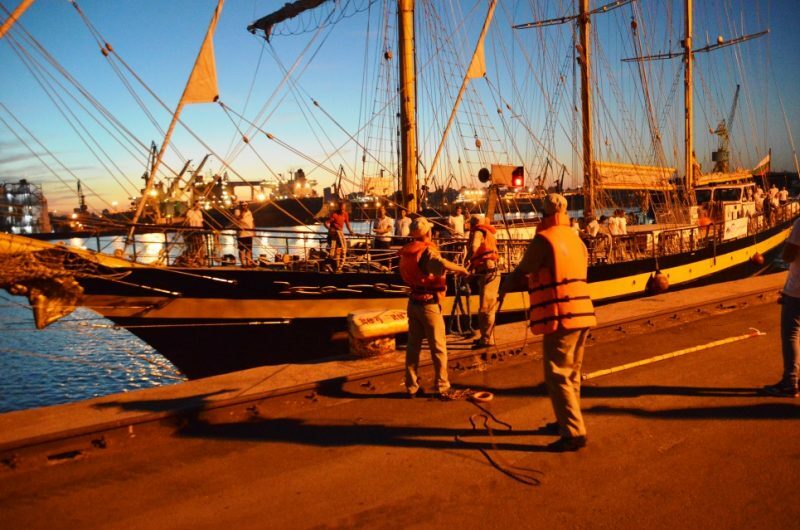 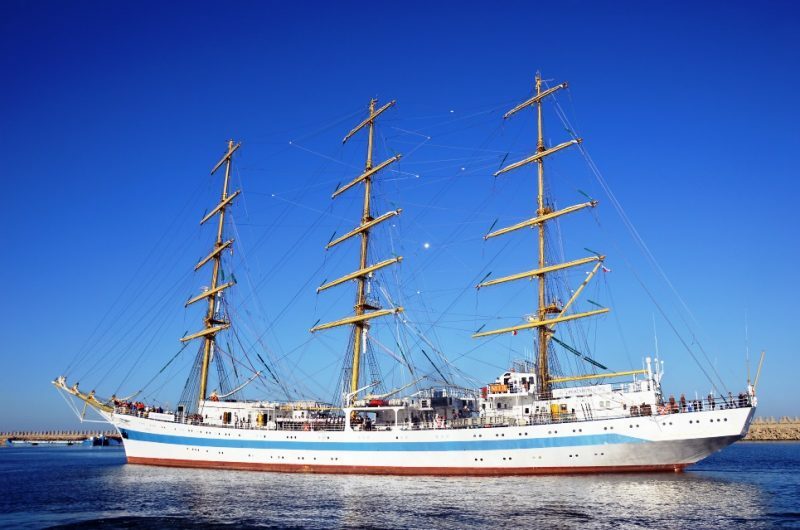 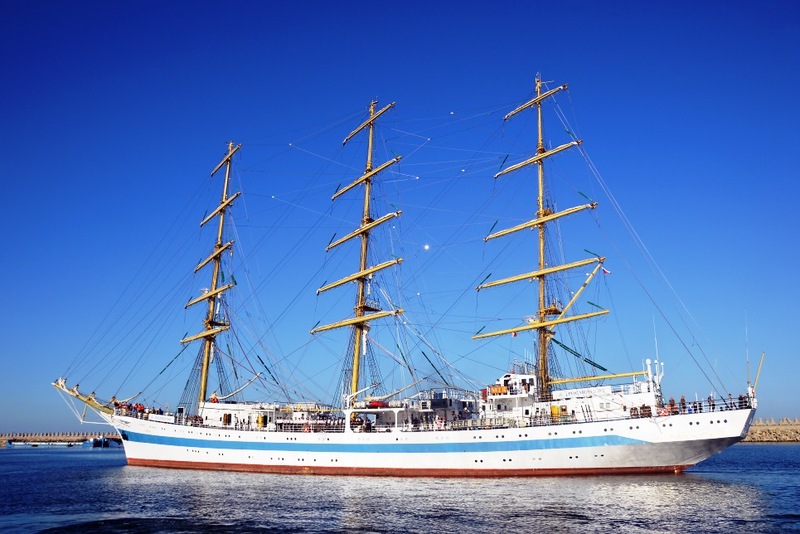 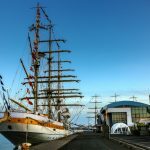 Tall Ships arriving in Constanta. 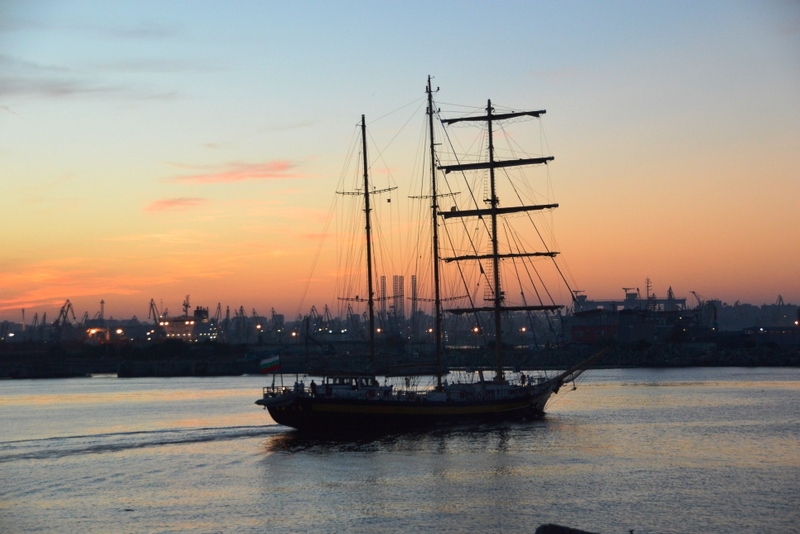 Evening docking on the quayside in Constanta. 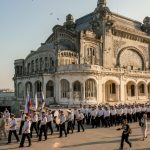 Mir (Russia) arriving in Constanta. 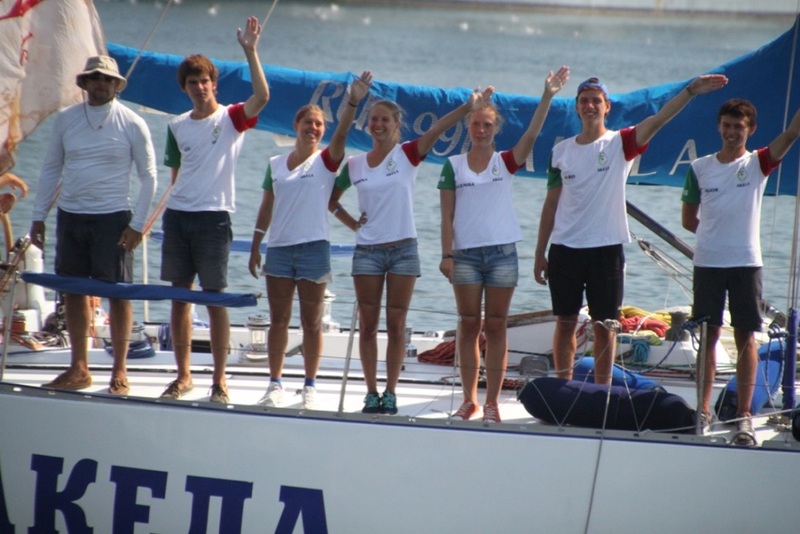 Kaliakra entering Constanta for the SCF black Sea Regatta. Tall Ships decorating the quayside in Constanta. 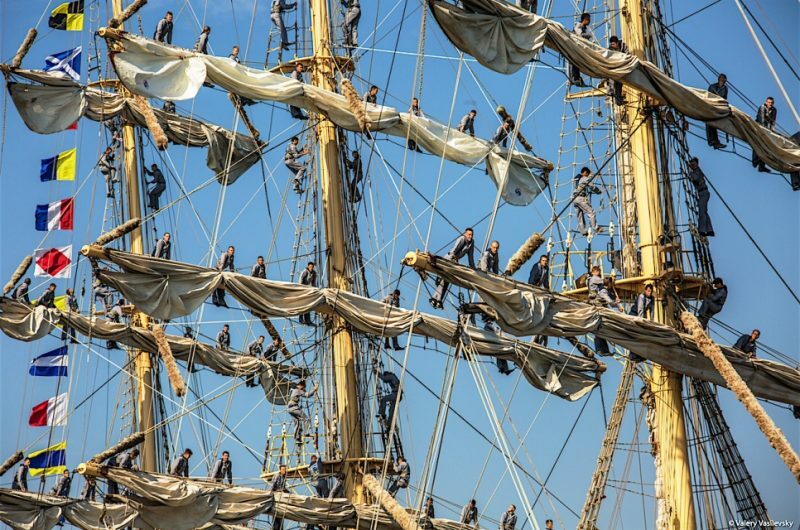 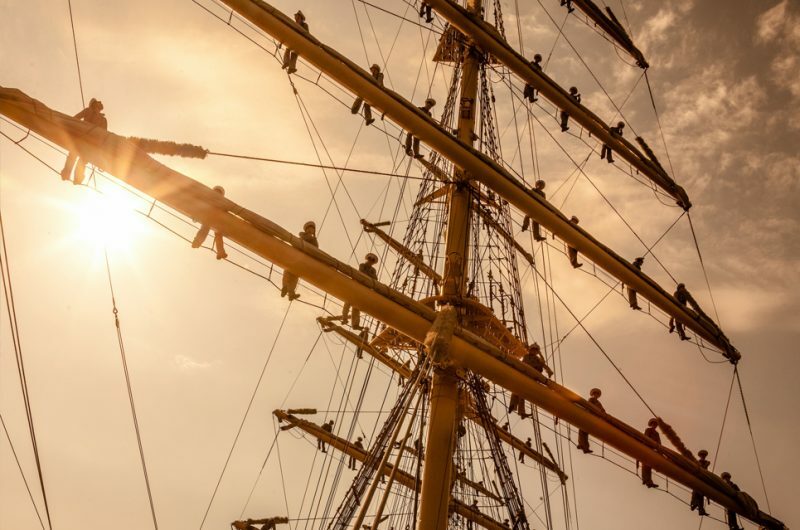 Spectacular shot of crew climbing masts on their way into Constanta. 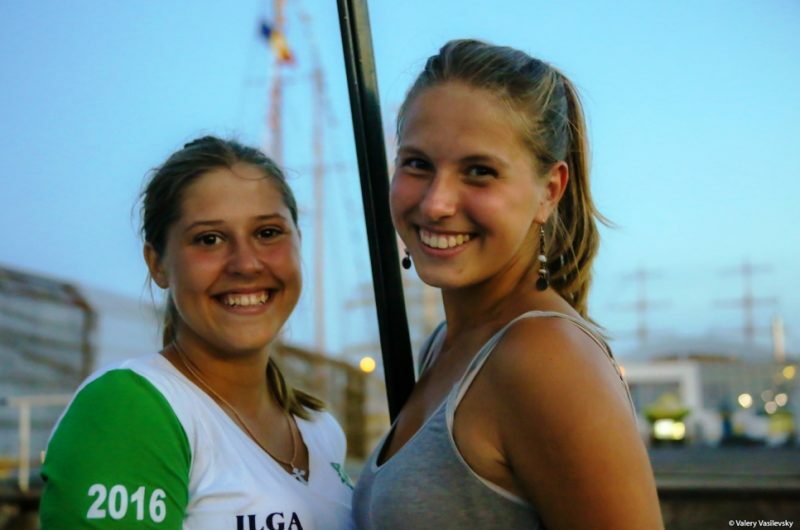 The trainees are excited to be in Constanta. Happy crew members from Nadezhda. 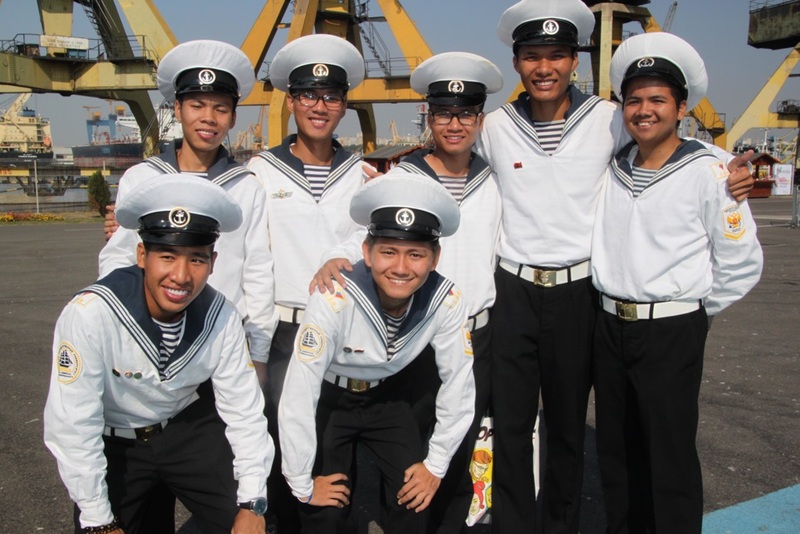 Trainees relaxing in their new gear. 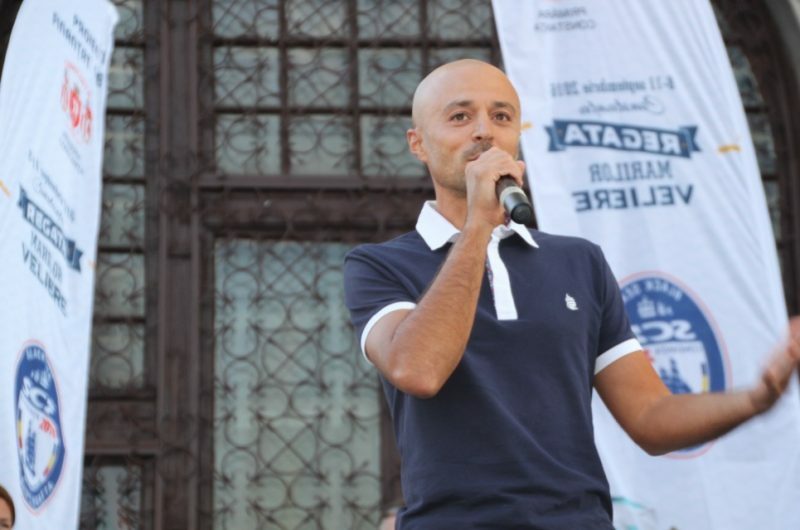 Inspirational Romanian athlete Mr Andrei Rosu. 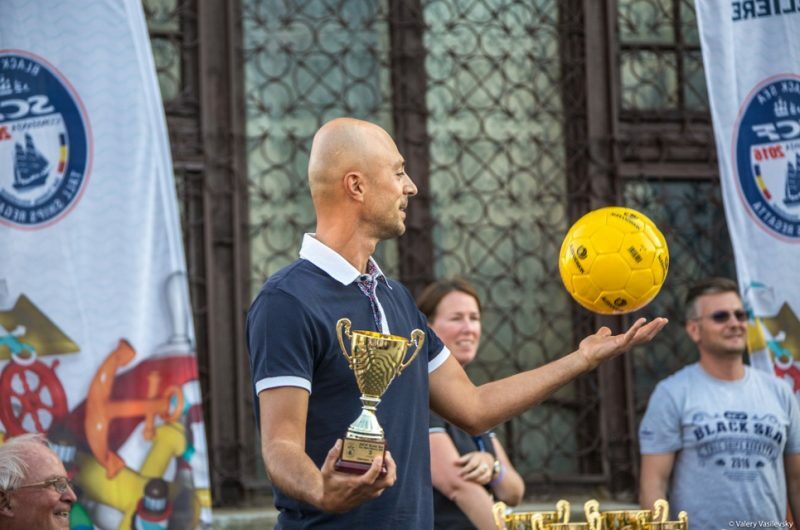 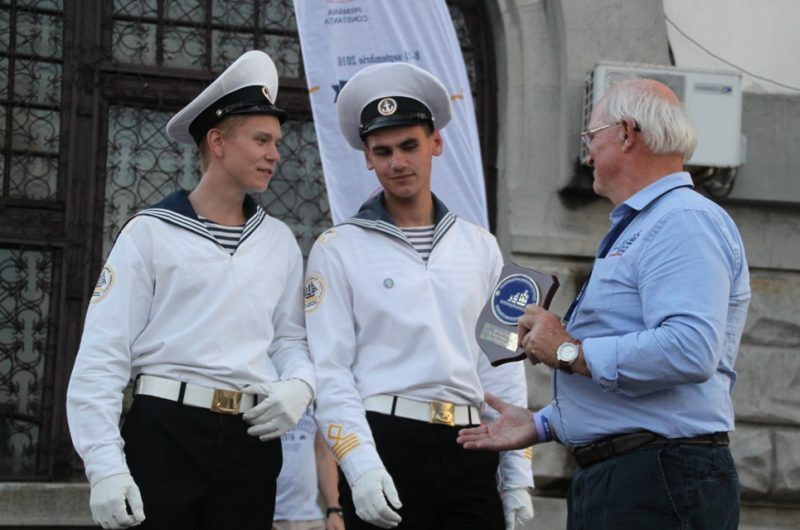 Receiving a prize from Andrei Rosu. 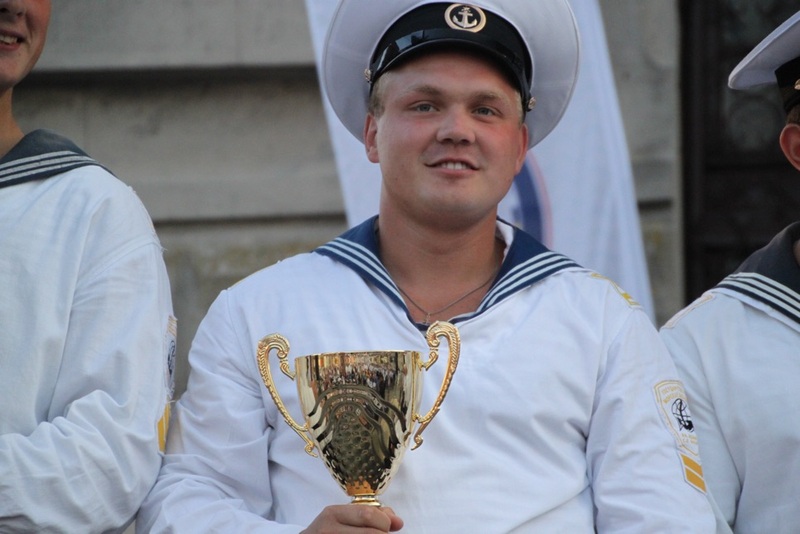 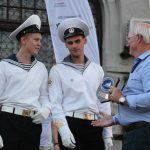 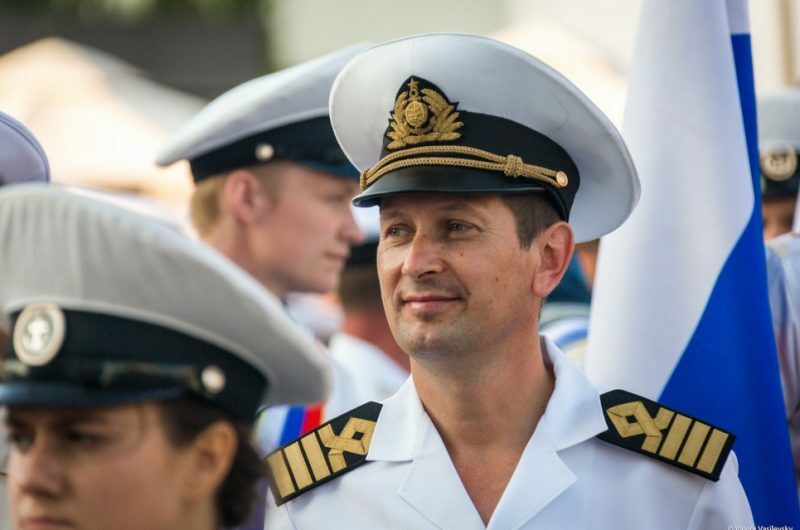 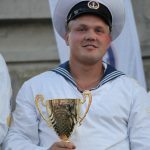 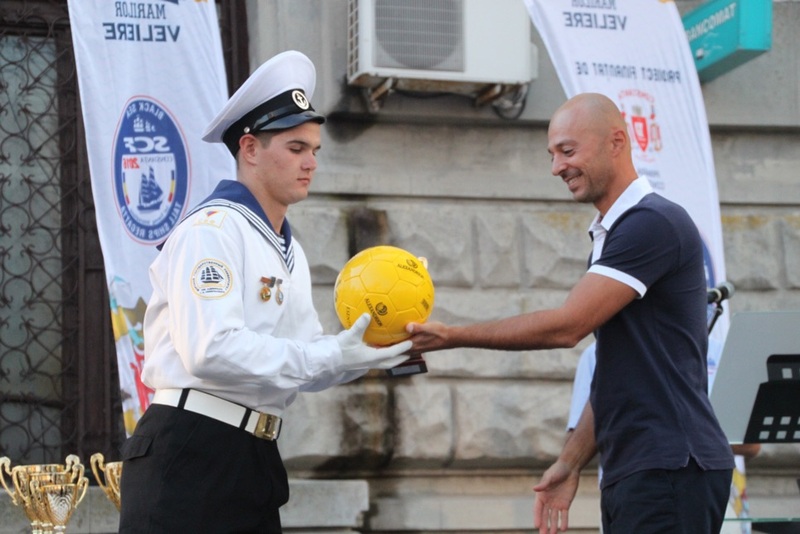 Officer from Kruzenshtern - Prize winners in Constanta. 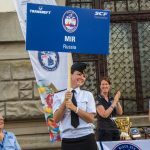 Celebrating a win in the Crew Parade. 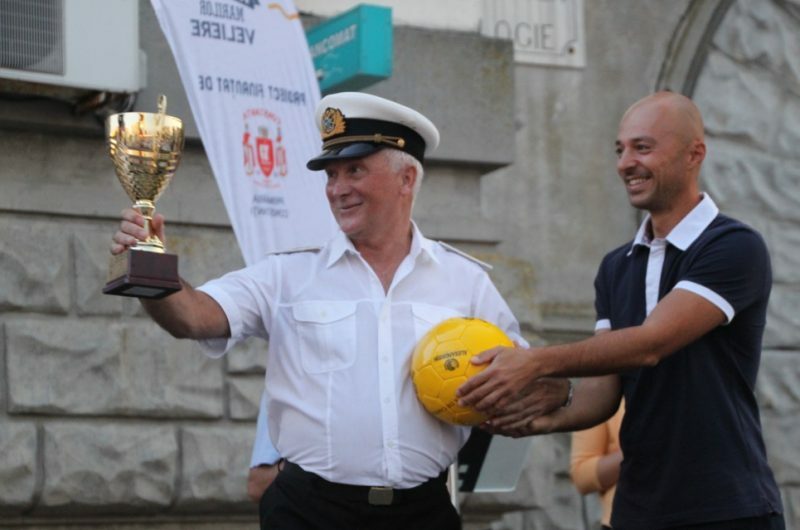 Mir team members collecting a sports prize. 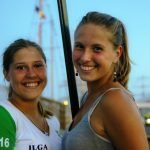 Proud competition winners from Mir in Constanta. 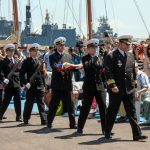 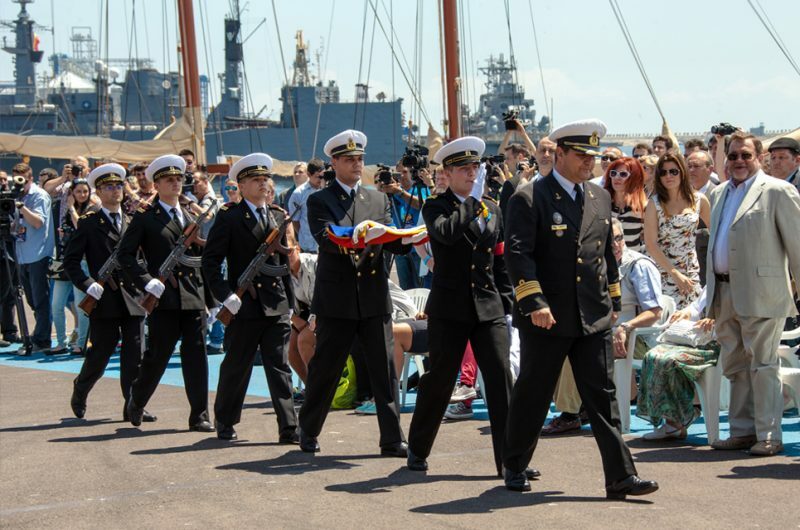 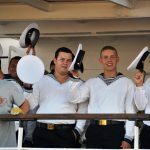 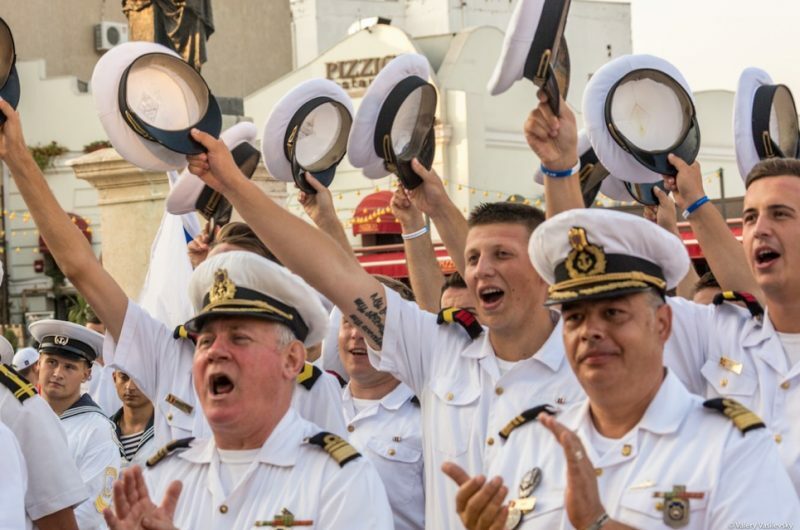 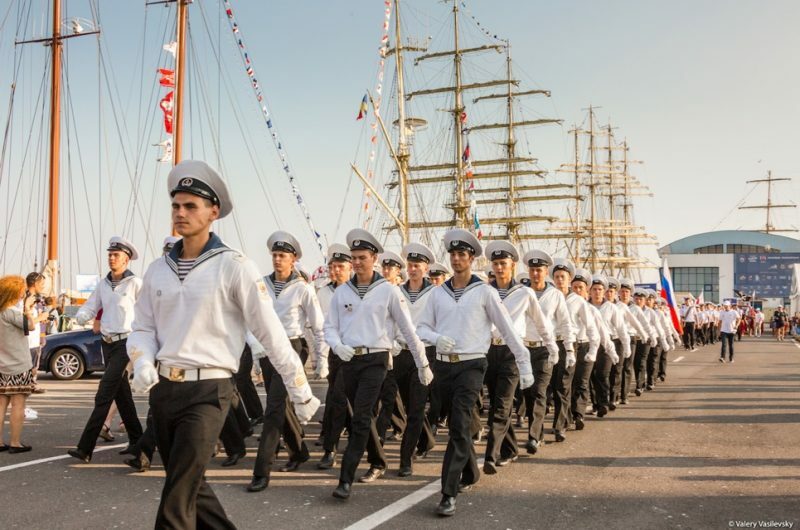 Constanta Crew Parade on the march. 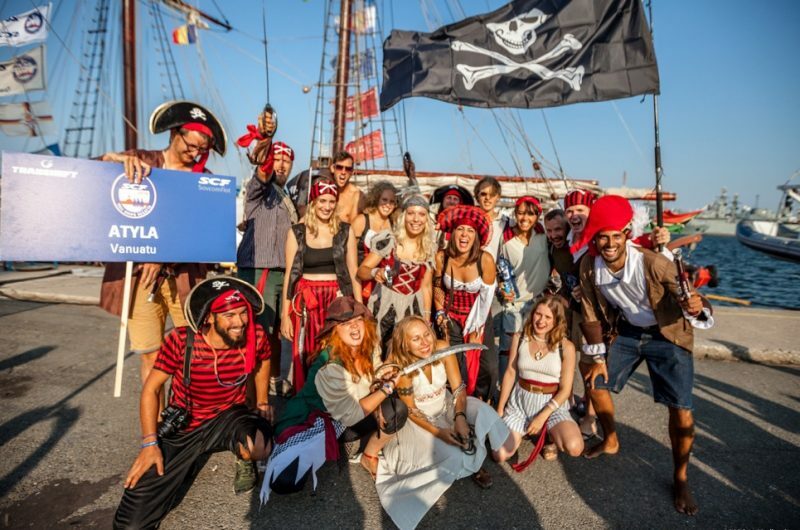 Akela crew ready to parade. Kaliakra at the sports prize winners. Happy at the Prize-Giving Ceremony.. 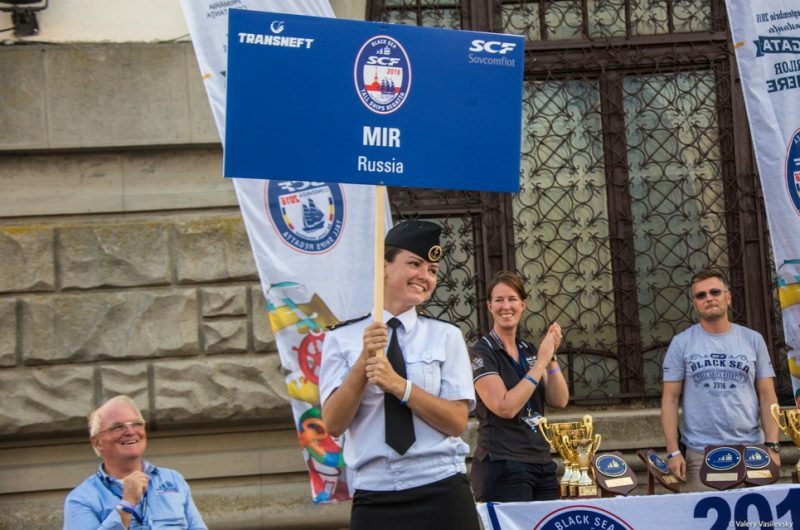 The crew of Mir at the Prize-Giving. Cheering at the Prize-Giving Ceremony. 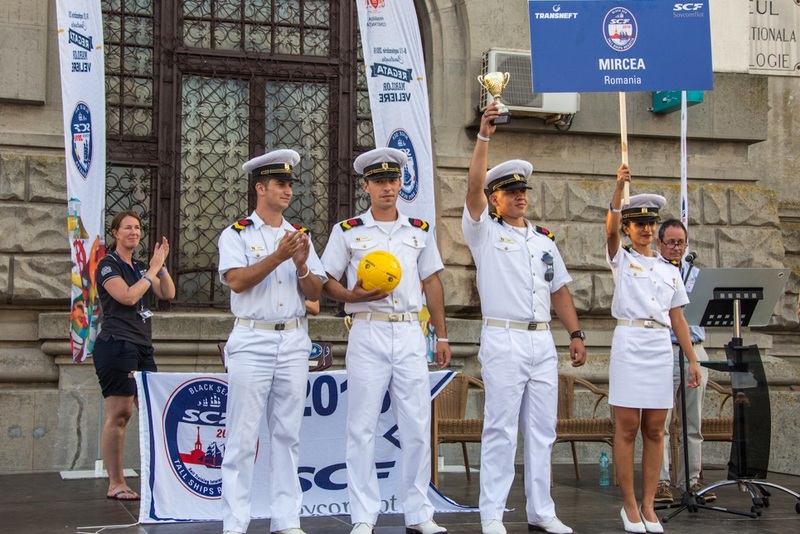 The crew of Mircea accepting their prize. 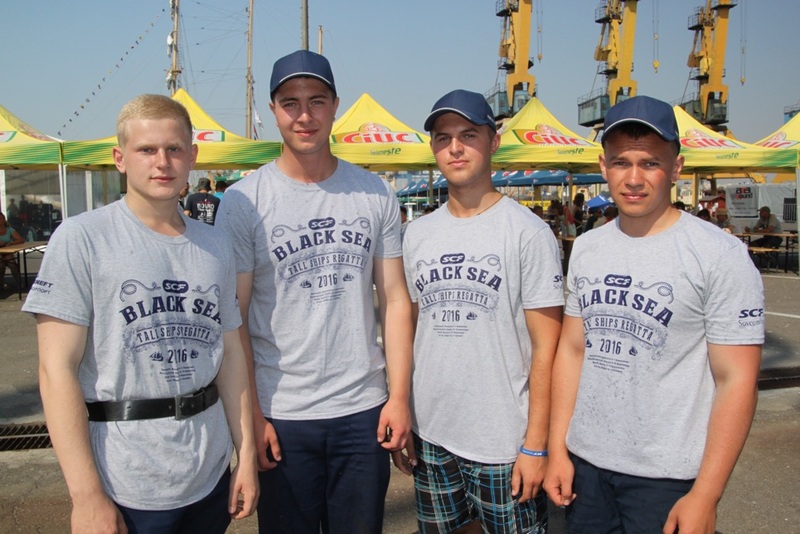 Royal Helena, winners of anchor weighing competition. 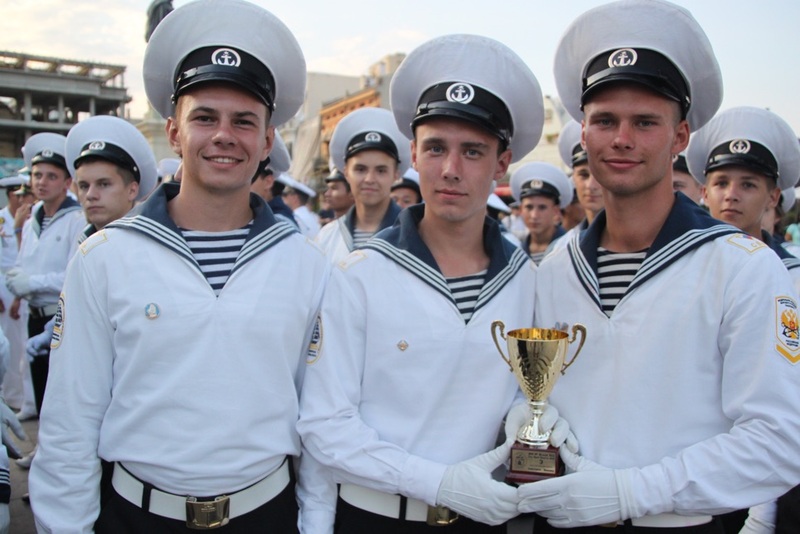 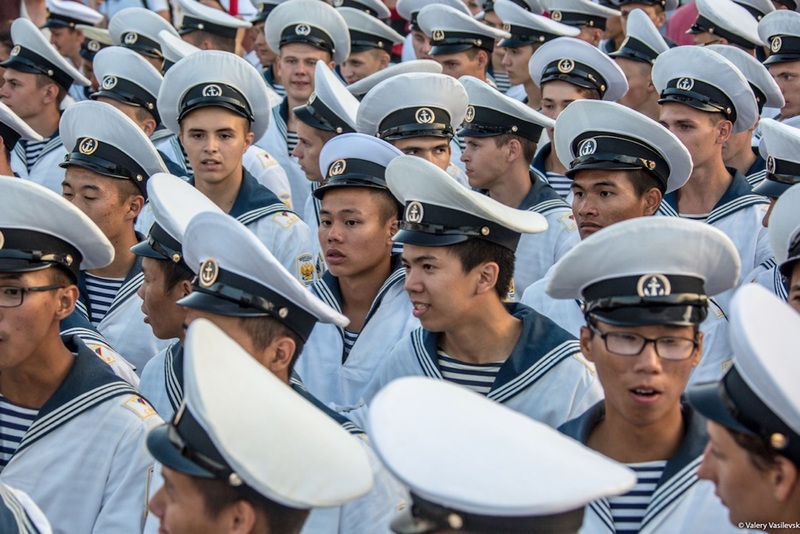 The crew of Nadezhda at the Prize-Giving Ceremony. 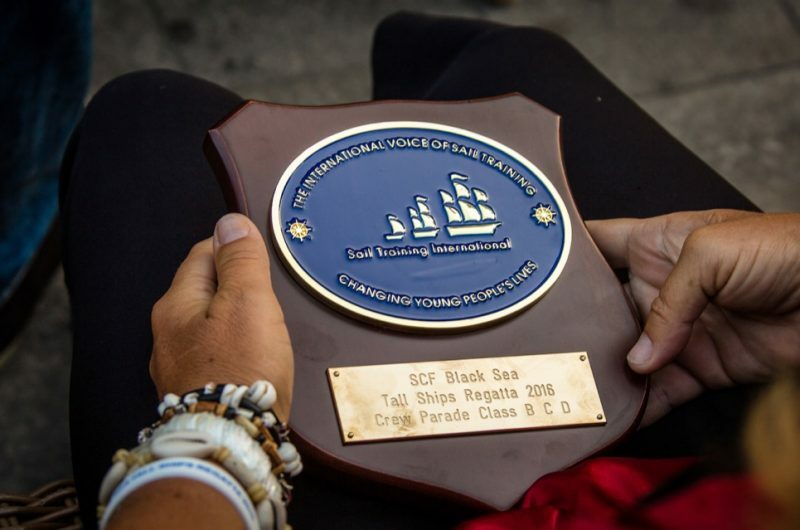 The prize for Classes B, C and D in the Crew Parade. Atyla crew, ready to parade. The beautiful scenery in Constanta. 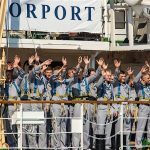 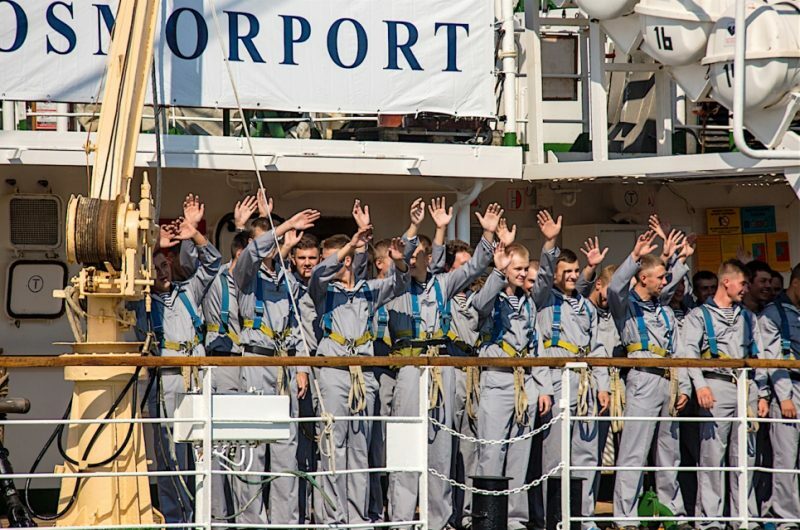 The crew of Akela waving goodbye to Constanta. 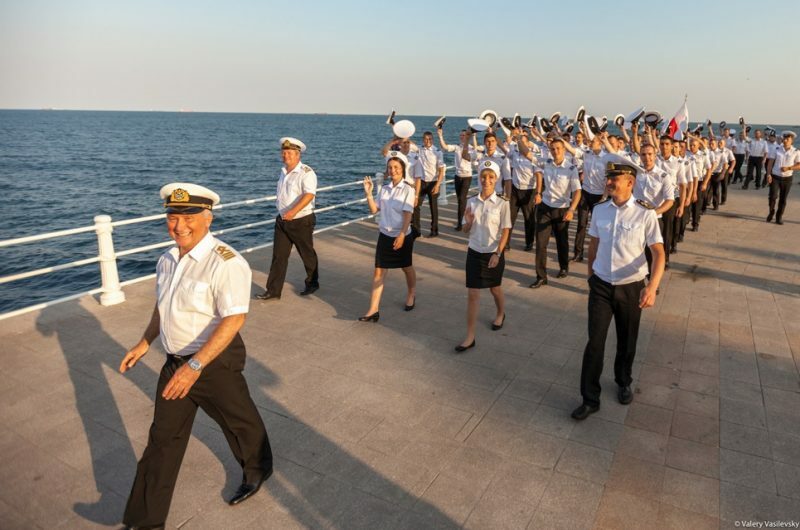 Royal Helena getting ready to leave Constanta. Rustic Constanta is Romania’s largest Black Sea port, and it’s the country’s second-most important city. 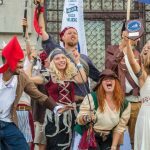 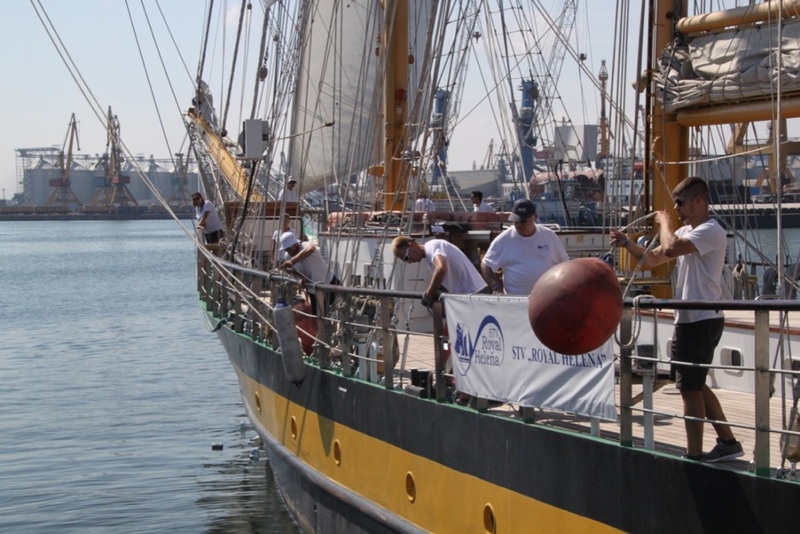 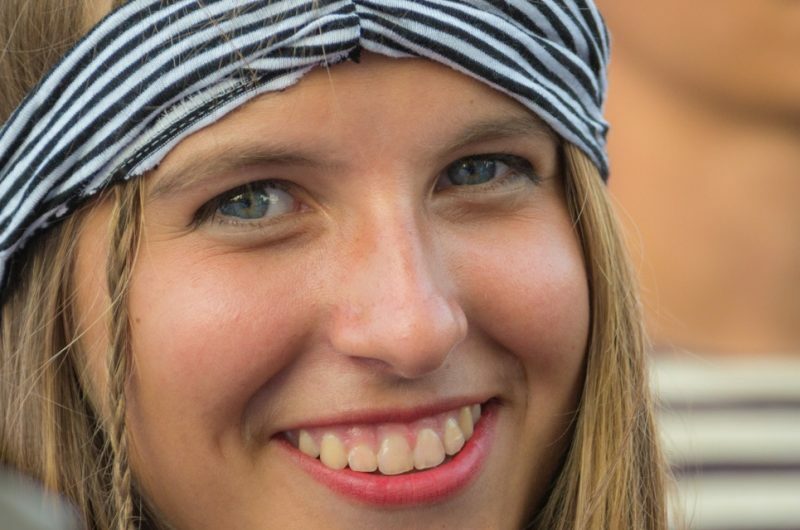 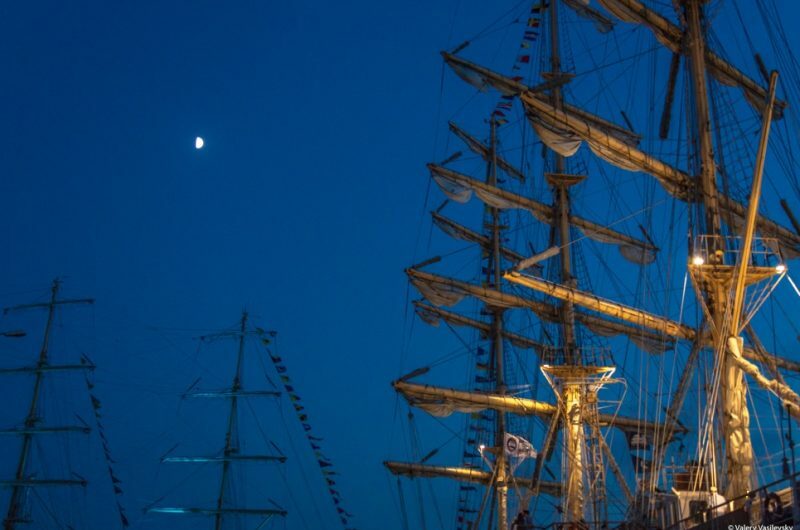 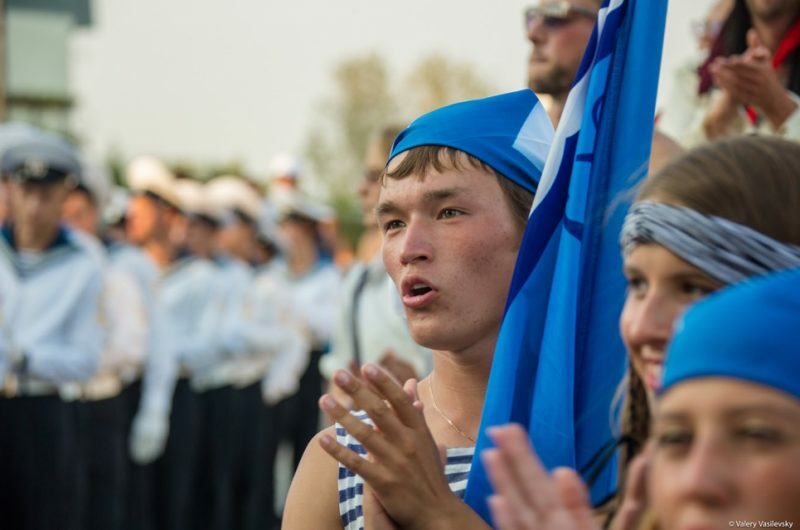 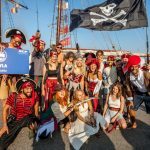 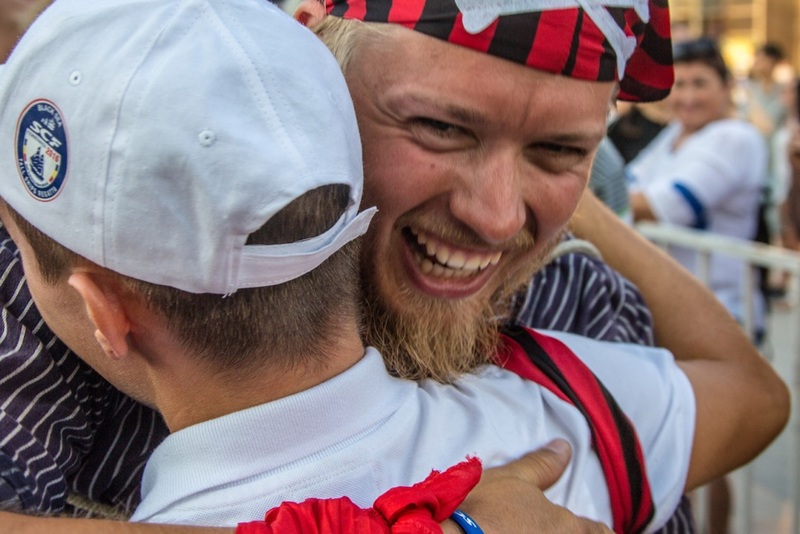 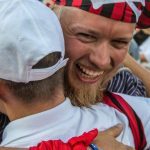 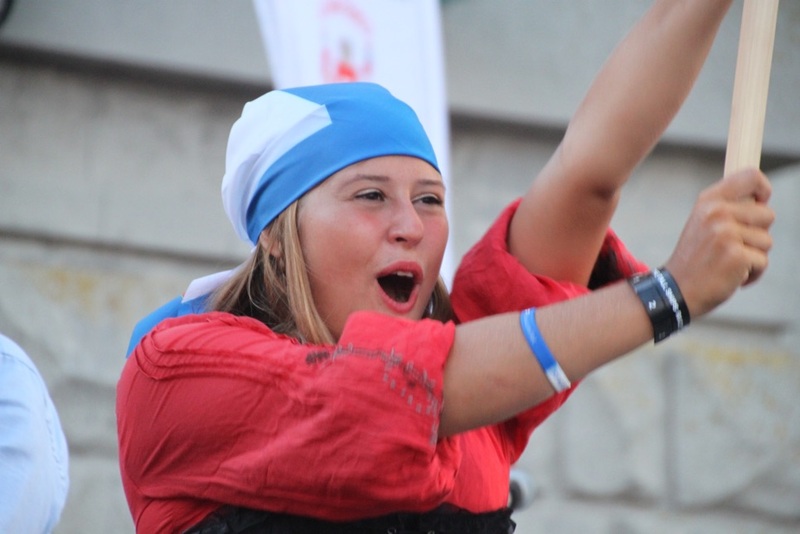 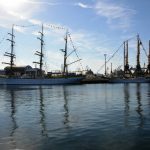 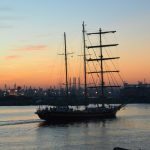 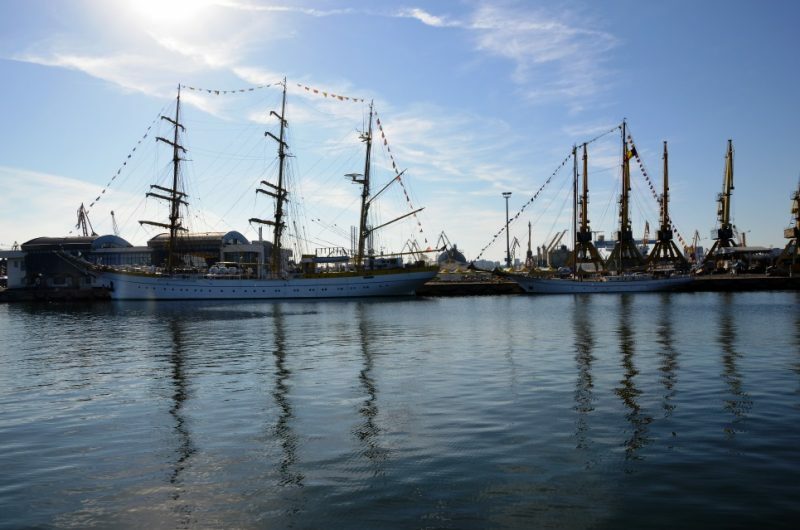 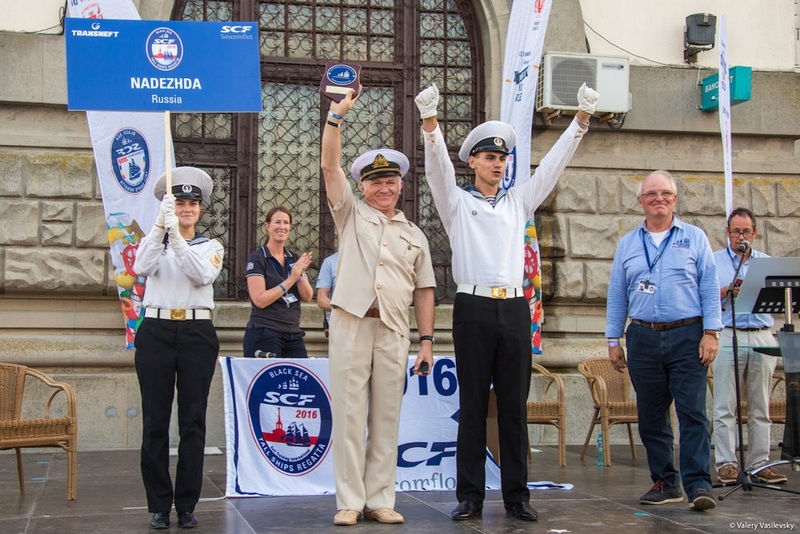 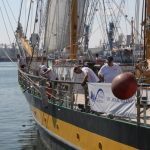 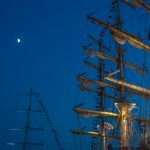 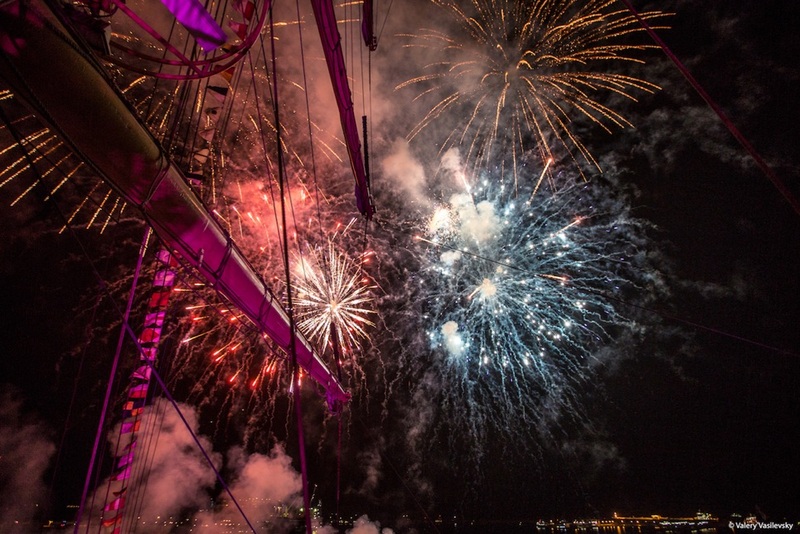 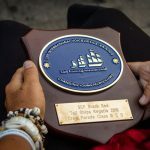 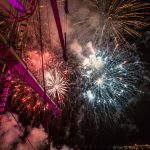 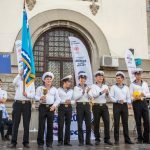 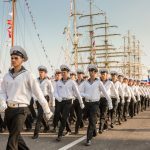 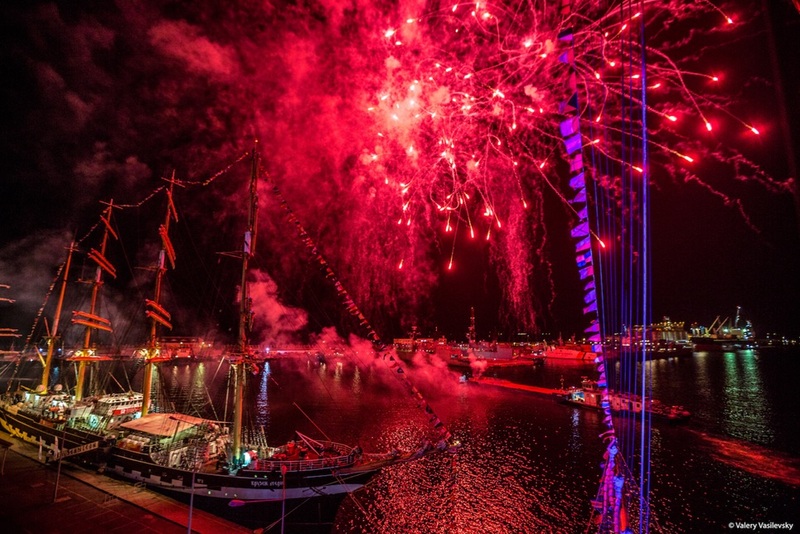 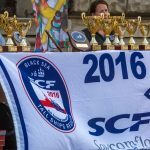 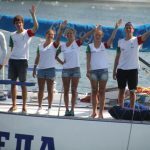 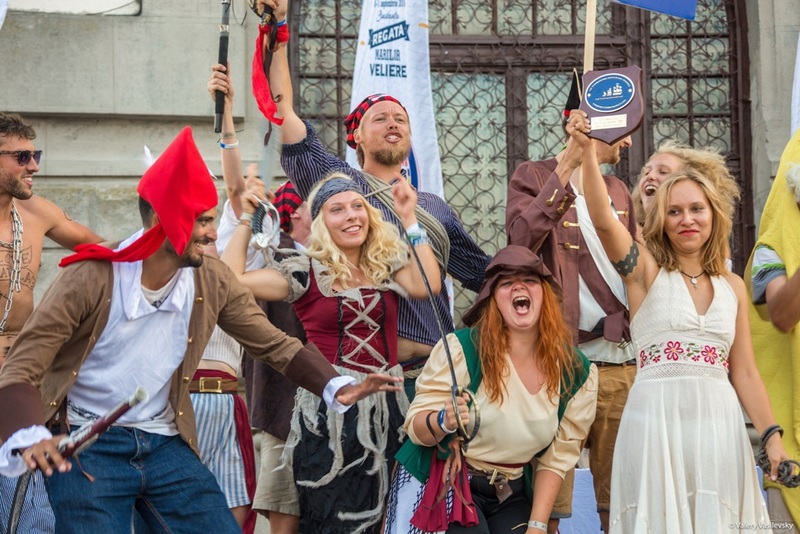 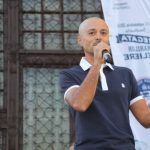 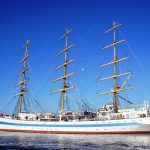 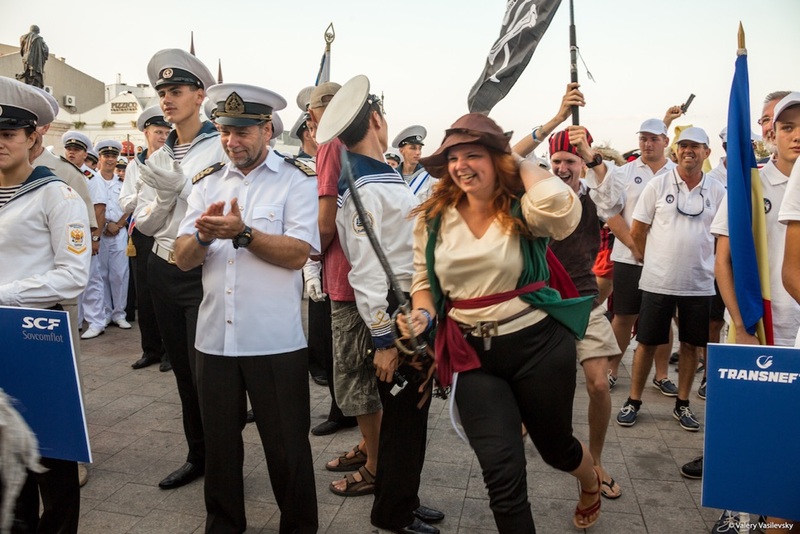 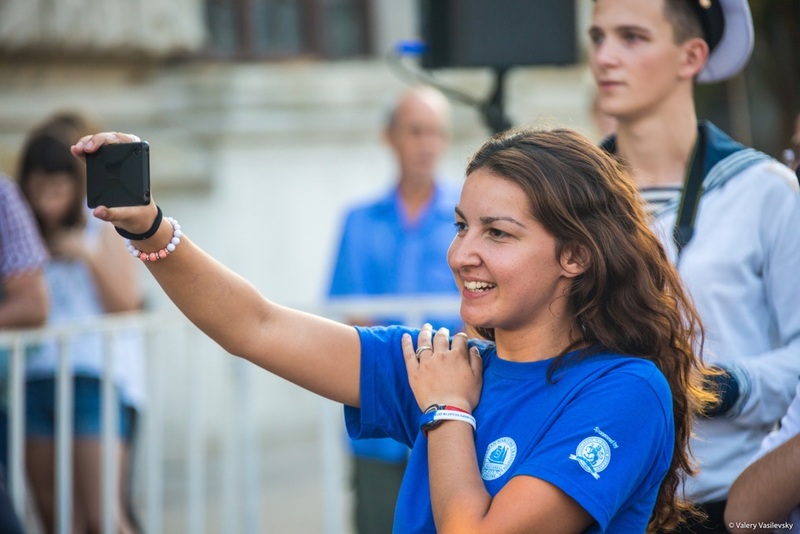 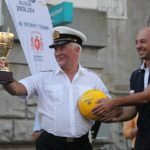 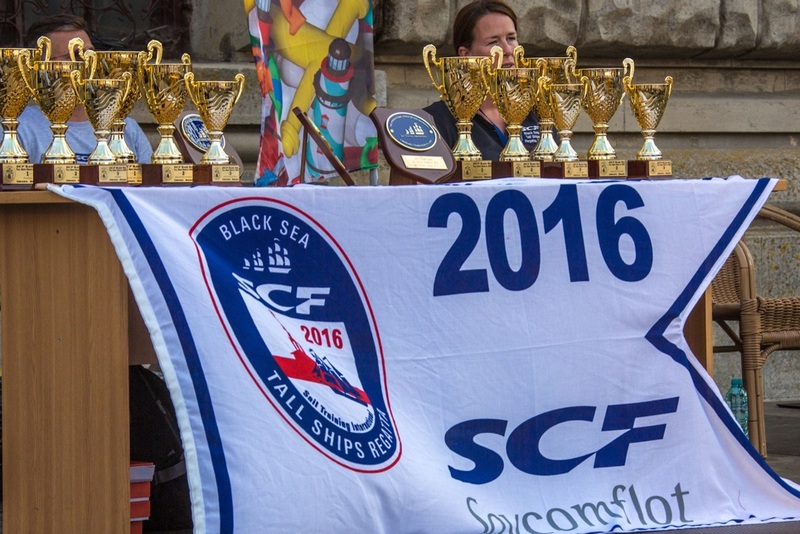 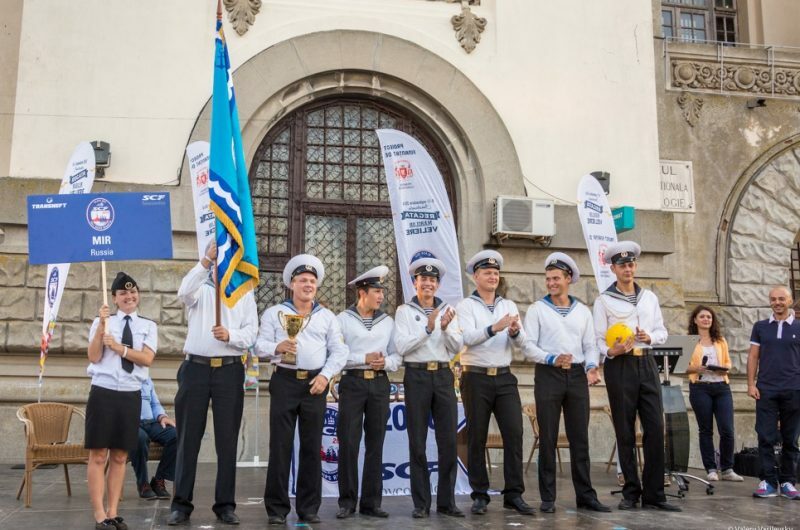 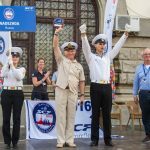 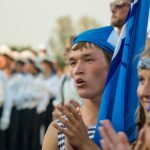 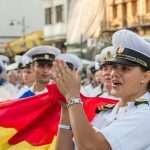 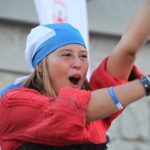 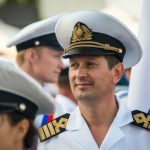 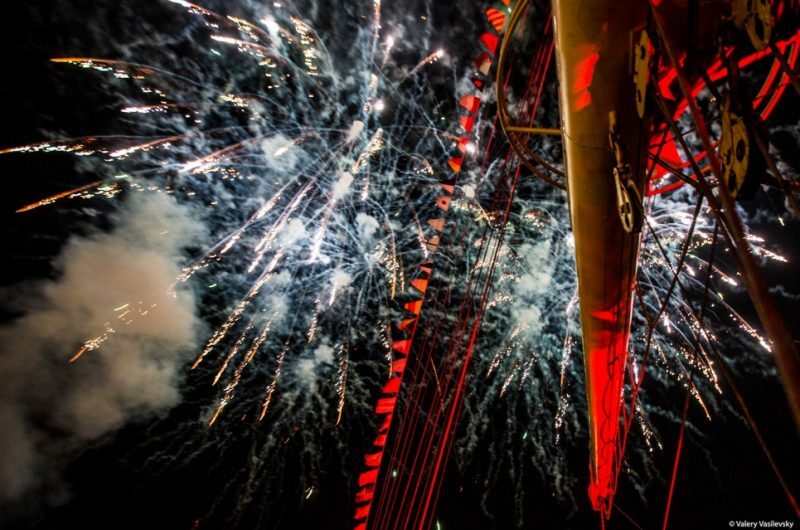 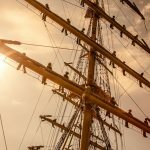 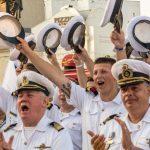 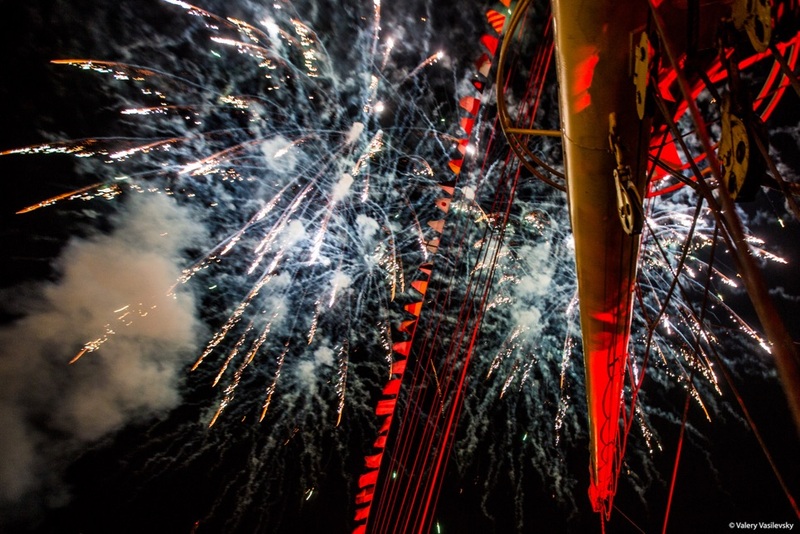 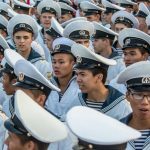 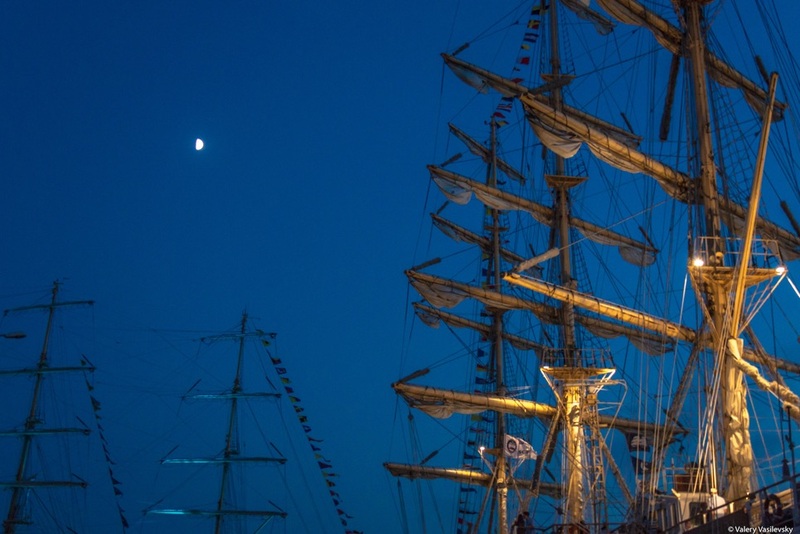 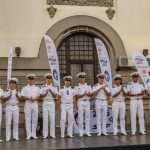 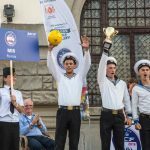 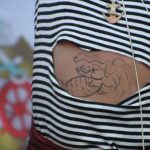 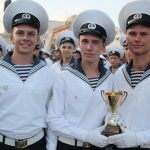 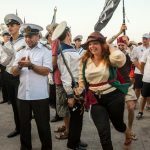 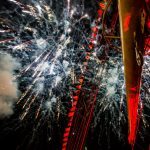 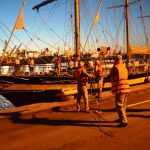 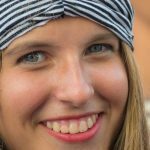 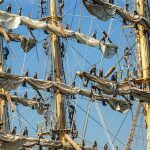 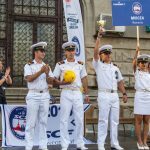 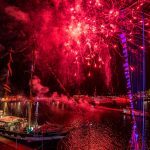 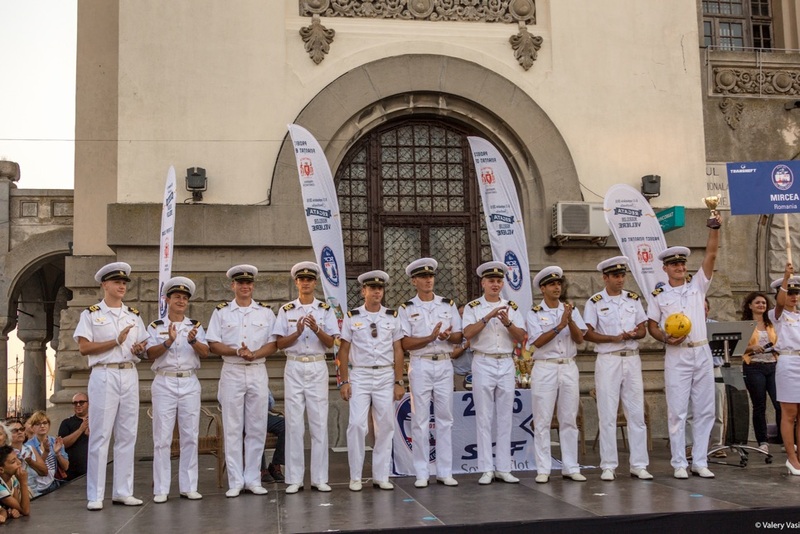 As the starting port of the SCF Black Sea Tall Ships Regatta 2016, Constanta was centre-stage in this thrilling 800-nautical-mile race across the ocean. 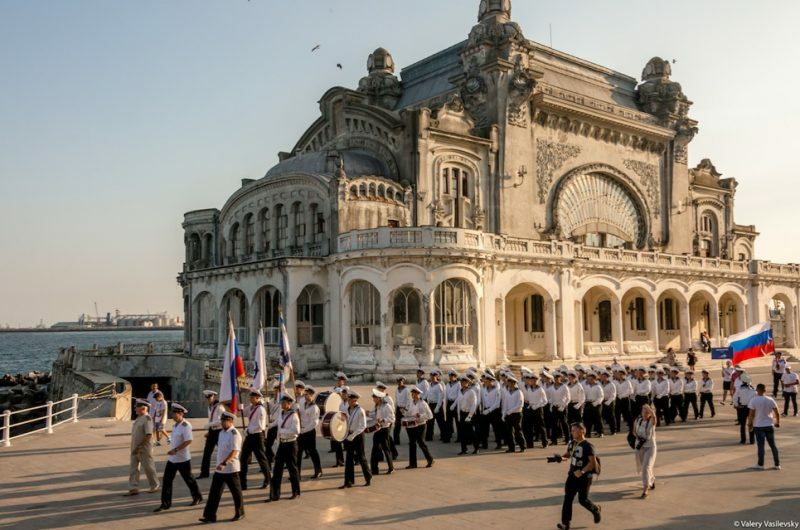 Constanta was originally called Tomis. It’s an ancient metropolis with a fascinating history – Jason landed here with the Argonauts after finding the Golden Fleece around 2,500 years ago, according to Greek mythology. Today, Constanta is popular with tourists and it boasts a number of historical monuments and fascinating ruins. 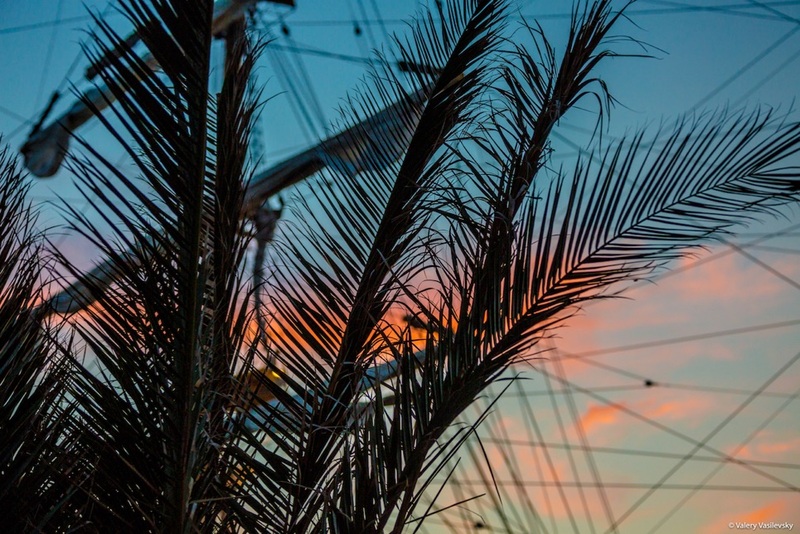 During the summer months, it becomes a bustling and beautiful tourist city. 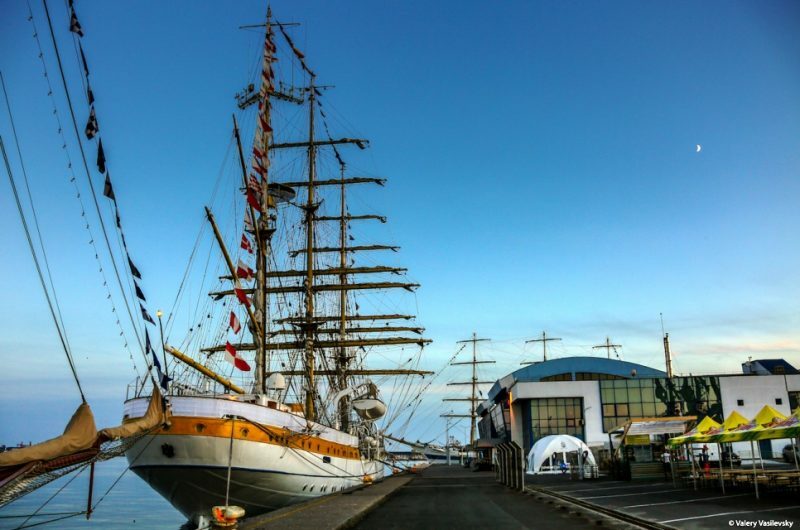 As well as being an interesting destination in its own right, it’s also a perfect gateway port to start exploring the wonders of the sea. 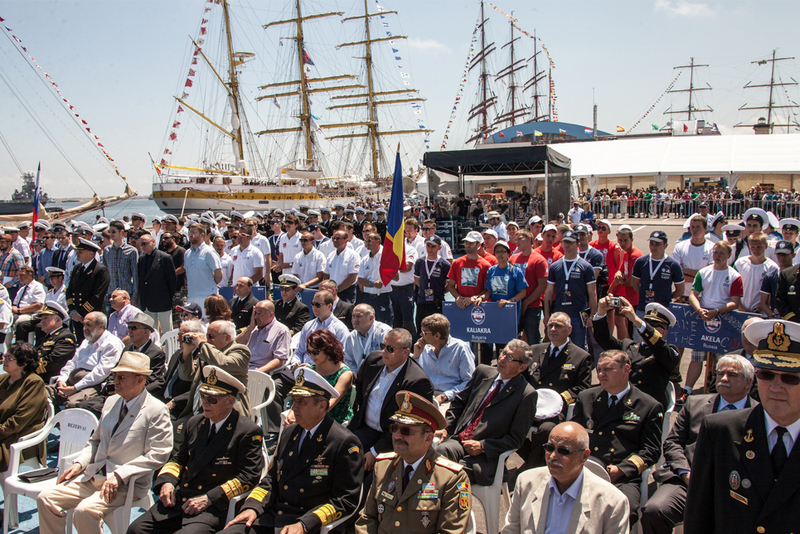 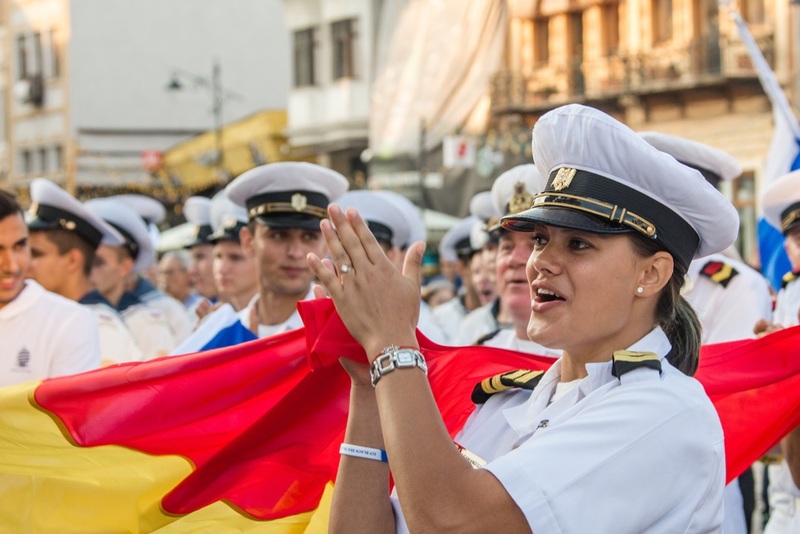 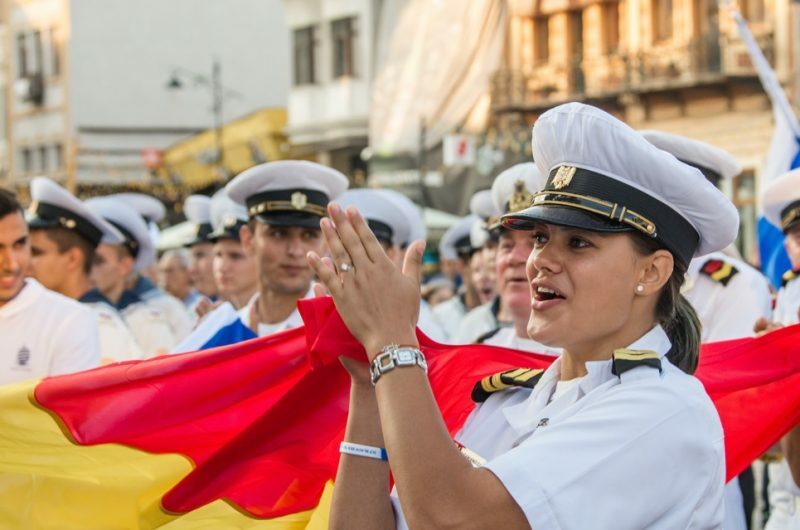 Constanta is an important cultural and economic centre, as well as proud home to the Romanian Navy. 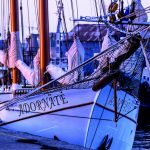 It’s well worth exploring for its archaeological treasures and the atmosphere of the old town centre. 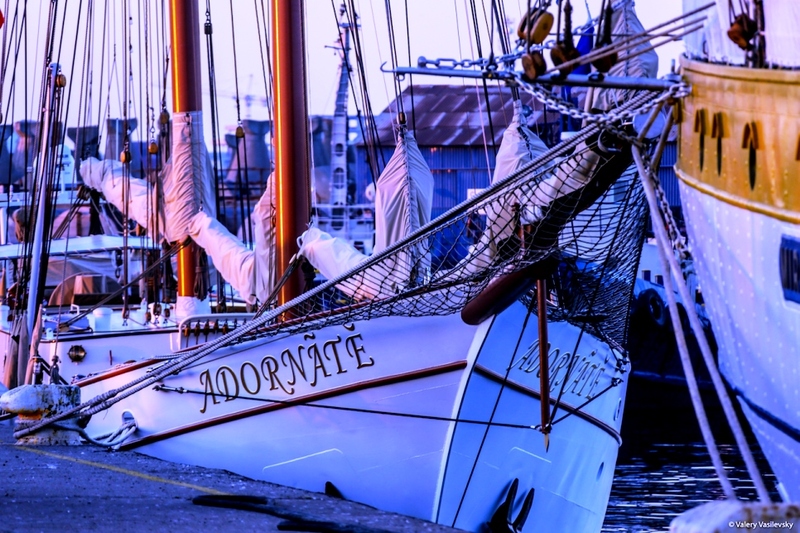 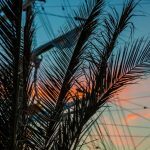 Check out the city’s beautiful portside walk, and you won’t regret making time to visit the clubs, bars and renowned open-air restaurants. 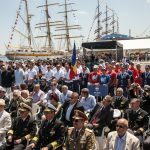 Constanţa is the port authority for Romanian ports. 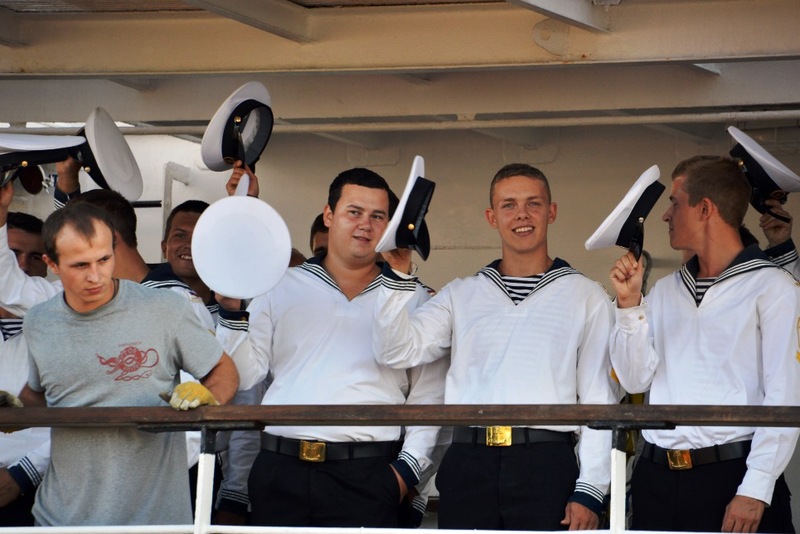 It’s been a “Free Zone” since January 2007. Constanţa has good rail, road, river, and air connections. 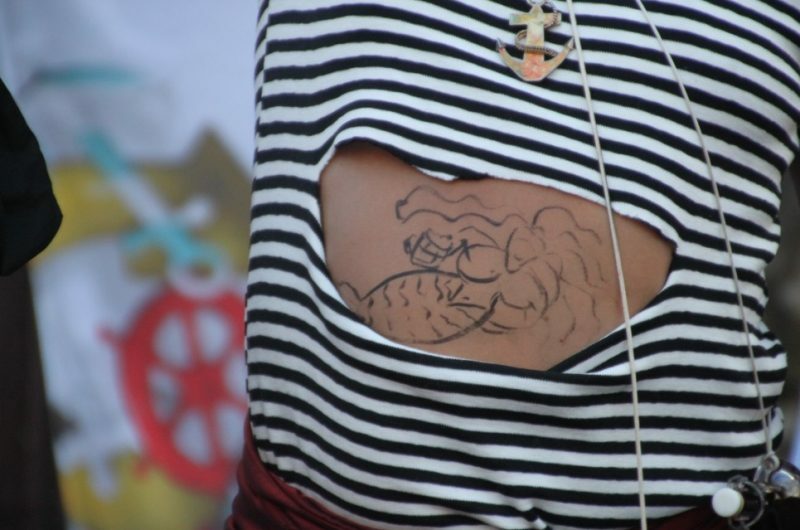 Mare concurs mare, de mers mare, cu un velier.